JooJoo Azad is a radical anti-capitalist, intersectional feminist, and body-positive political fashion blog written and run by Hoda Katebi, a sarcastic (& angry) Muslim-Iranian creative and community organizer living in Chicago. 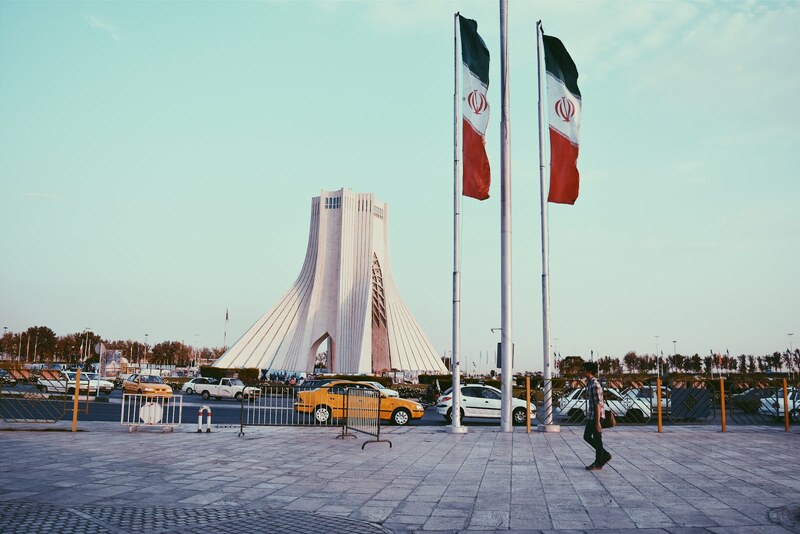 Azadi "Freedom" Tower, Tehran, Iran 2015. The site of the country's most notable protests and demonstrations. 1. 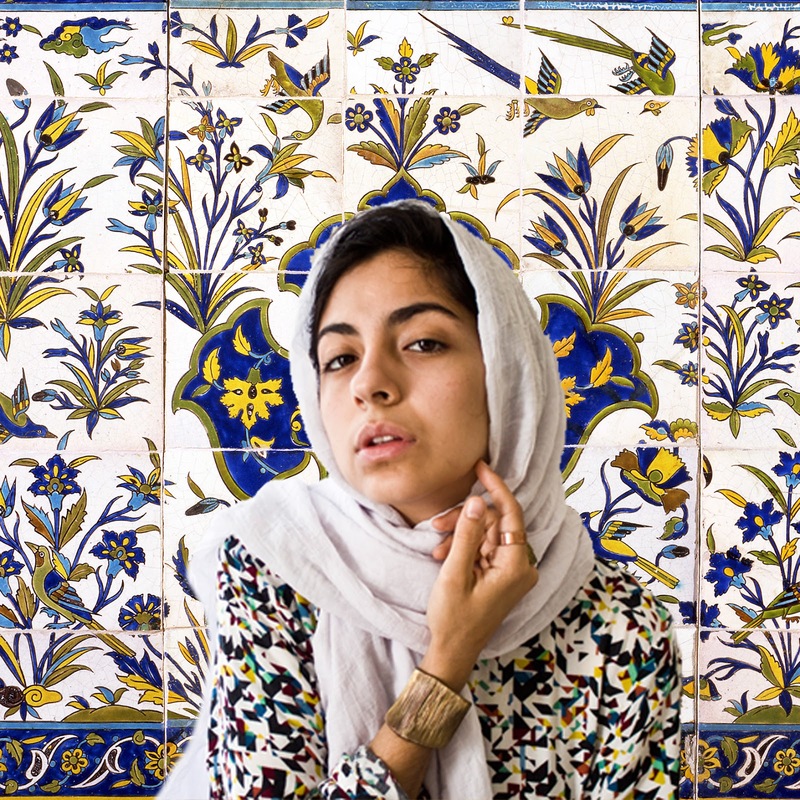 First and foremost, JooJoo Azad acts as a site of unapologetic identity reclamation aimed at challenging Orientalist mainstream media representation of Middle-Eastern, Hijab-wearing, Muslim women through a celebration of our culture, tradition, identity, and history of resistance and struggle. I'm not going to let the media render me what I am not. I am not going to let others silence, hide, or edit my voice. I am here, I am making noise, and I am taking up space. On my own terms. JooJoo Azad is active resistance through art and writing: I cannot rely on anyone but myself to tell my story and the story of my people. In fact, JooJoo Azad was born from hate. Hate that I have experienced physically, verbally, mentally, emotionally, and wholly, and that my oppressed sisters and brothers and siblings have and continue to experience daily. Specifically, I was moved after this attack in particular to create a space where I could yell on the internet. 2. So this part gets tricky. What does it mean to be an anti-capitalist fashion blog? To be honest, we (the blog & I) are still sort of figuring that out, too. For now, we know that we are dedicated to promoting a minimalist (in terms of consumption, not style of clothing) way of life. Fashion is a beautiful art form and language of self-expression and communication, yet the fashion industry is one of the most destructive forces on the planet (behind the prison industrial complex, USA imperialism, the patriarchy, and crocs, of course). We are taught to close our eyes and ears to where our clothing comes from. We are taught to link material products with emotions. And this is especially prevalent in the fashion industry. So, we have a Boycott List, we encourage and work towards social change, and we promote brands and designers who are setting the bar in ethical standards. Essentially, we are using this platform to promote that which successfully entwines ethics with aesthetics. (P.S. It's harder to find than you think). 3. Moreover, this is a body-positive and intersectional space. Meaning we are celebrating beauty that extends beyond the rubric that the media has so kindly and so narrowly defined for us. We are saying down with the conception of flattering clothes and will never alter, retouch, slim, or "whiten" our photos. We also work to create content that explores intersectionalities of mediums (fashion, photography, writing, video) and issues (#BlackLivesMatter, feminism, orientalism, etc). For more on the political value of fashion, read this piece. Because our liberation after all, is intimately connected. We're not free 'till we all free. 4. Finally, this space is designation for celebration. A celebration and documentation of us as Muslim, Middle Eastern, women, and radical. I will not apologize for my nose or my parents' accents. This is what JooJoo Azad sets out to do. And while we might not always be successful or know quite what we're doing, I'm glad you've decided to join us in figuring it all out. Pleased to meet you and I hope you stick around for a bit ! Hoda Katebi is the Chicago-based angry daughter of Iranian immigrants. She is the voice behind JooJoo Azad, the political fashion platform hailed from BBC to the New York Times to the pages of VOGUE; author of the book Tehran Streetstyle, a celebration and documentation of illegal fashion in Iran; host of #BecauseWeveRead, a radical international book club with over 30 chapters internationally; and founder of Blue Tin Production, an all-women immigrant and refugee-run clothing manufacturing co-operative in Chicago. Hoda is an abolitionist and community organizer, previously part of campaigns to end surveillance programs and police militarization. 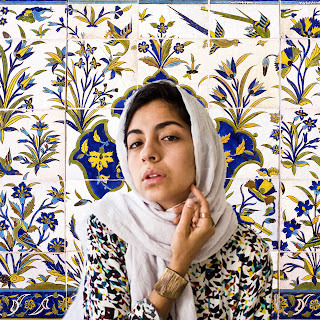 She graduated from the University of Chicago in 2016 where her research explored the intersections of fashion, gender, and the state in Iran, and will be starting law school in the fall of 2020. She runs on saffron ice cream & colonizer tears.